Signs, the new graphic novel from Si Smith (How to Disappear Completely and Abide With Me), is filled with images of the city centre in Leeds and explores the positive impact of strangers amongst us. You will be struck by the places you recognise, and your sense of recognition of bigger truths in the short stories it contains. Signs places a high value on the contributions of diverse people, whose names are often not known and who might just be passing through the city, and shows the difference their acts of kindness, action or support can make in people’s lives. It is inspired by portrayals of angels in the bible and also in popular culture. Signs is relevant for people in Leeds of all faiths and no religious faith. It is about the city that we inhabit and create together. At Holy Trinity on 9th March, you can view an exhibition of Signs storyboards, chat with the author and try your hand at printmaking. 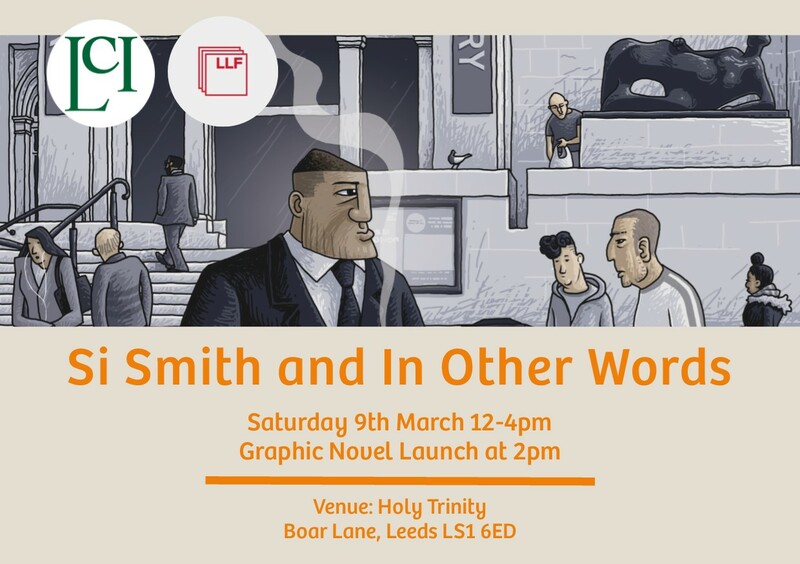 At 2pm, its time for the official launch of the new novel, with a Q and A session with artist and author Si Smith. 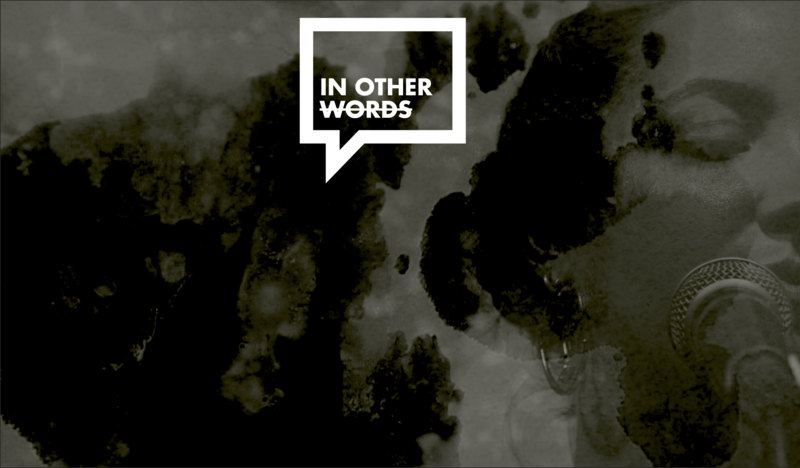 Local artists Jade Jeffreys and Lisa Boardman present In Other Words, a spoken word event which combines live performances of poetry and prose with abstract film. At Holy Trinity, on 9th March you can see an exhibition of Newsletter & Zine Work that collates illustrations and interviews with local artists and writers. At 12.30 – 1.15pm and again at 3 – 3.45pm there will be live poetry readings from local artists. You can view a series of short films that show writers performing a chosen piece of work to camera. The performers are local artists that range from professionals to novice artists, there is a warm welcome for everyone from every community and walk of life. Join us for what promises to be an eye-opening and inspirational event. Book tickets via the Leeds Lit Fest page here.